Badgers living on a development site are protected from disturbance and harm. This means moving the badgers out of harms way before construction commences. Badger fencing can be used to exclude or contain badgers. It can also be used to direct the animal along a chosen route. 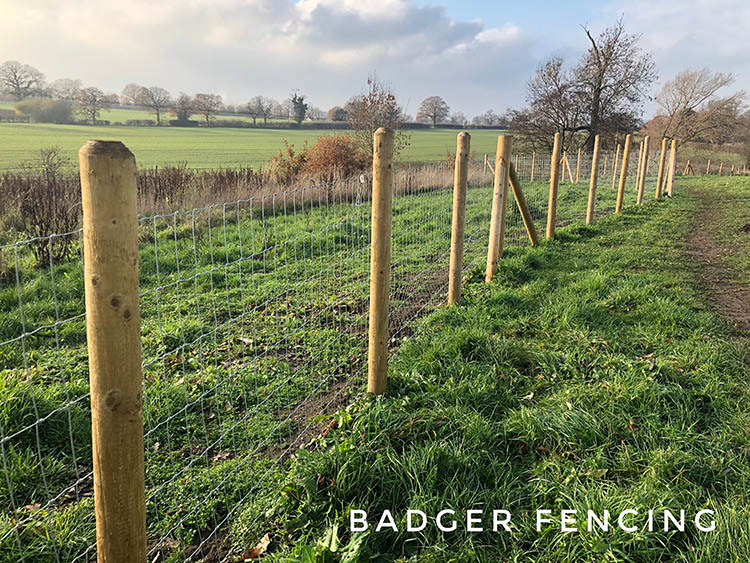 Often badger fencing is installed as part of badger mitigation under licence when closing a badger sett, badger exclusion or when directing badgers towards a new artificial badger sett. Badger fencing needs to be robust as badgers are loyal to their established pathways. 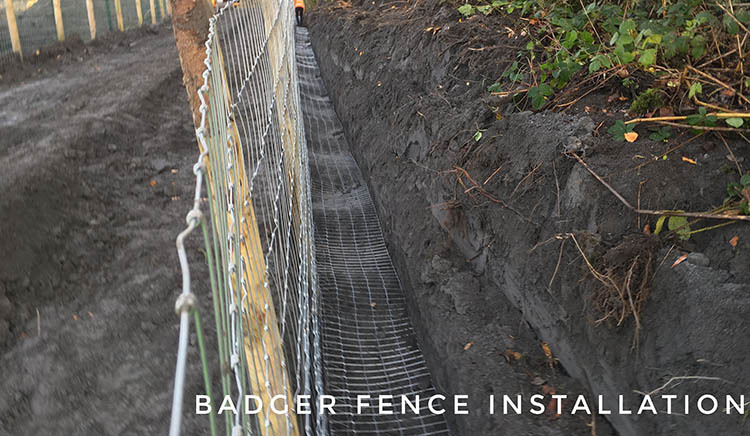 Our high tensile mesh meets Highways Agency specifications H46 and H47 and can be used on embankments or as badger ground amour to prevent badgers digging back into their sett during a 21 day licensed badger sett closure. Our badger fencing is manufactured in the UK. Our high tensile wire has exceptional levels of resistance to badgers who attempt to climb. 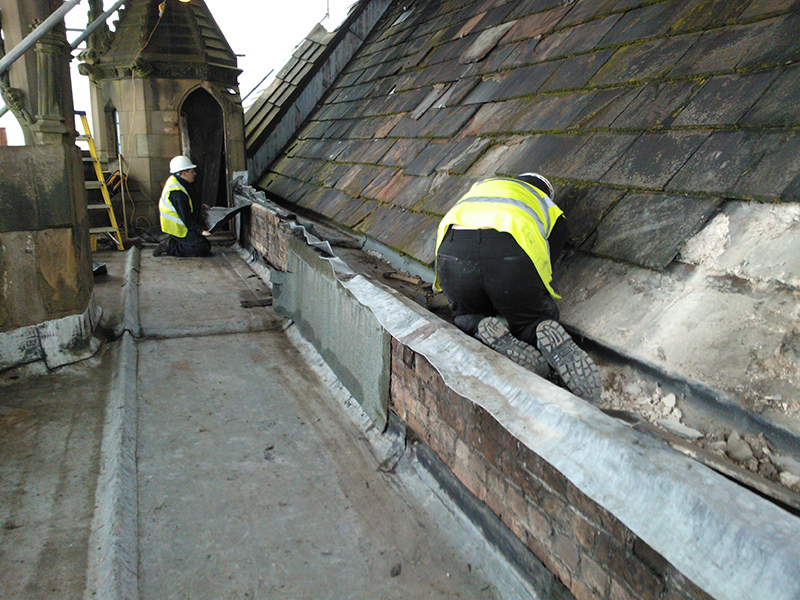 Our experienced team are happy to discuss all options for installation. As techniques can vary depending on what purpose you wish the badger fence to serve. For example; permanent or temporary species exclusion, redirection of badger pathways or ring fencing as a precautionary measure during ground excavation works. 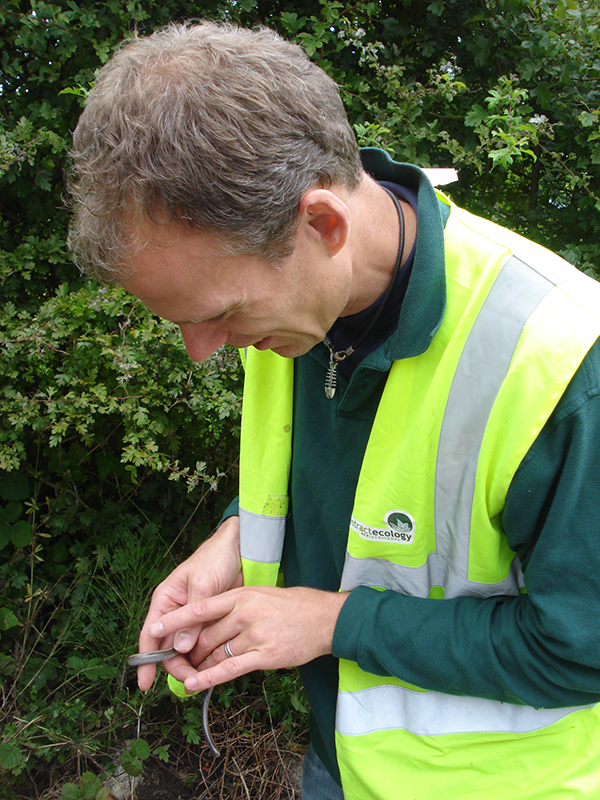 We use galvanized steel, ensuring all our badger fencing is 100% recyclable. Badger gates are used to control the permitted access of badgers. 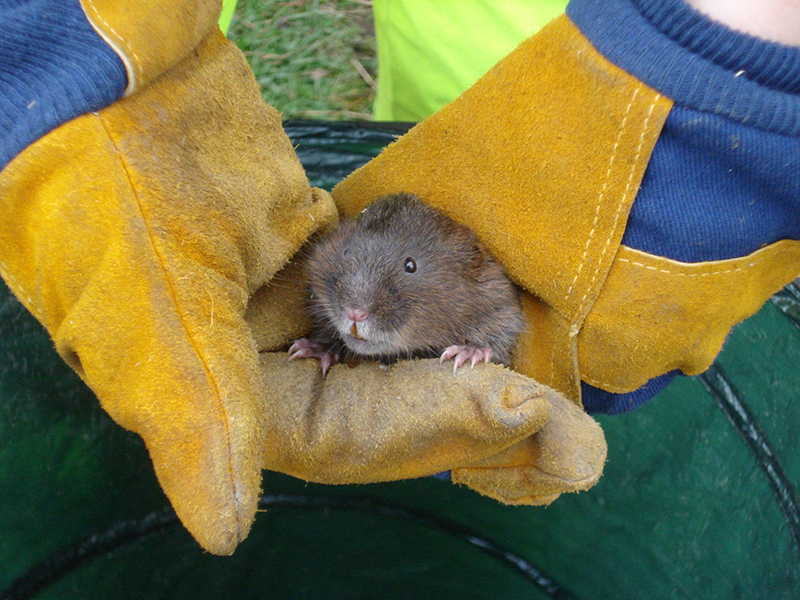 Usually at a sett entrance or as a route through existing fencing and underpasses. They can be adjusted to operate in one way or two way directions, so to direct the animals movements. Badger gates are available is a variety of materials dependent on intended purpose. Wooden badger gates; typically installed in badger sett closure schemes. Wooden gates are inexpensive, so if large numbers of badger gates are required it keeps costs down for the client. The timber frame also allows badger ground mesh to be attached directly to them using heavy duty staples. Suitable for short term use only, such as 21 day closure schemes. Steel badger gates; available with a solid front or mesh front. 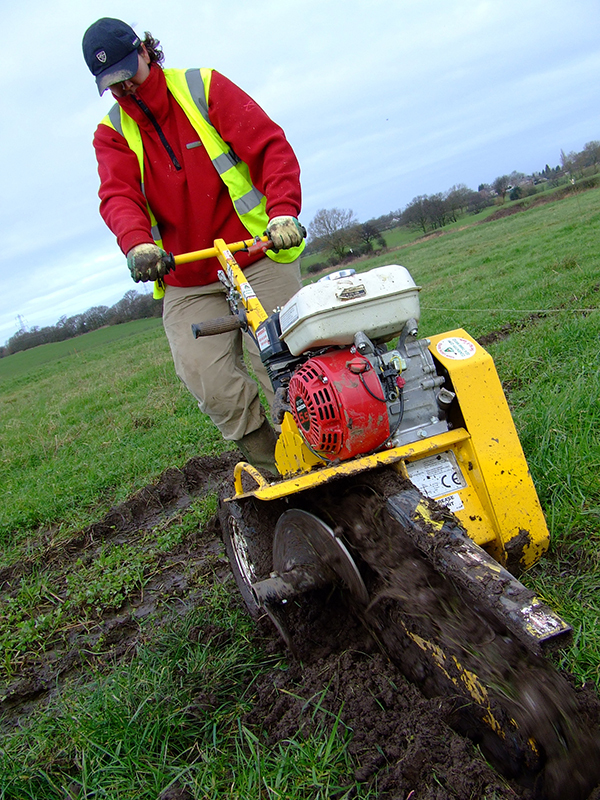 These can be used for sett exclusion or integration into existing fence lines. Suitable for permanent use or high footfall areas. 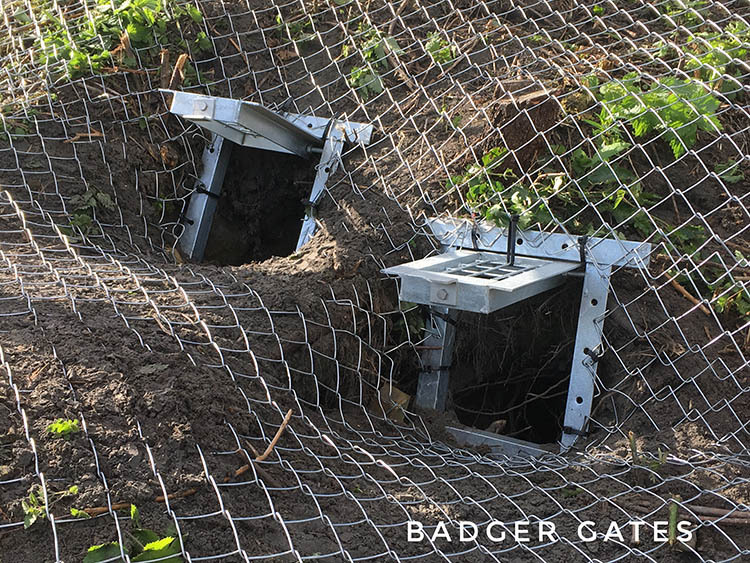 We can install or replace badger gates as either part of a licensed badger mitigation when closing a badger sett or replace badger gates in new or existing fence lines to exclude badgers from a particular area. This can be particularly useful where badgers are recorded using a path through a construction zone or private residence. Our team includes badger license holders. So if you require an assessment to best advise on the citing of badger gates particularly along established badger paths, we are happy to offer this service if required. Badger ground mesh (also referred to as ground amour) is used to stop badgers regaining entry to their sett during sett closure and exclusion works. it is advisable to install ground mesh around all badger gates at are being used to exclude badgers from a sett entrance. We provide 2mm steel wire mesh for this purpose. Galvanized for extra durability. We DO NOT recommend plastic coated mesh as this contains a much thinner metal core which is bulked up by the plastic outer. That plastic outer is no match for a determined badger. Badgers are exceptional diggers and will repeatedly try to bypass inferior mesh to regain entry to their sett. We are happy to help advise you as to what extent of mesh you should use. This will depend largely on likely risk of re-entry which can be influenced by soil types, slope aspect and disturbance levels at the sett entrance. All our badger ground mesh is 100% recyclable. 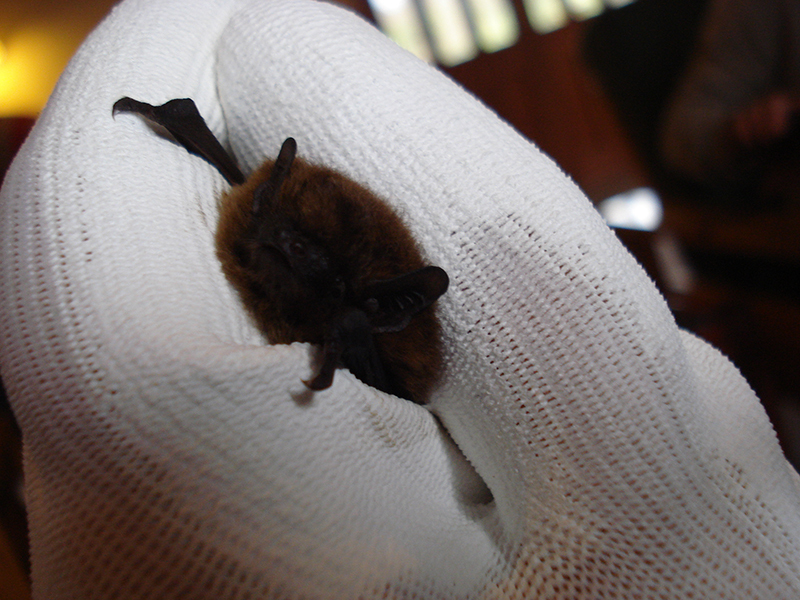 Where a main sett is to be lost, it is an essential requirement to provide a suitable alternative. An artificial badger sett provides instant shelter opportunity for badgers. 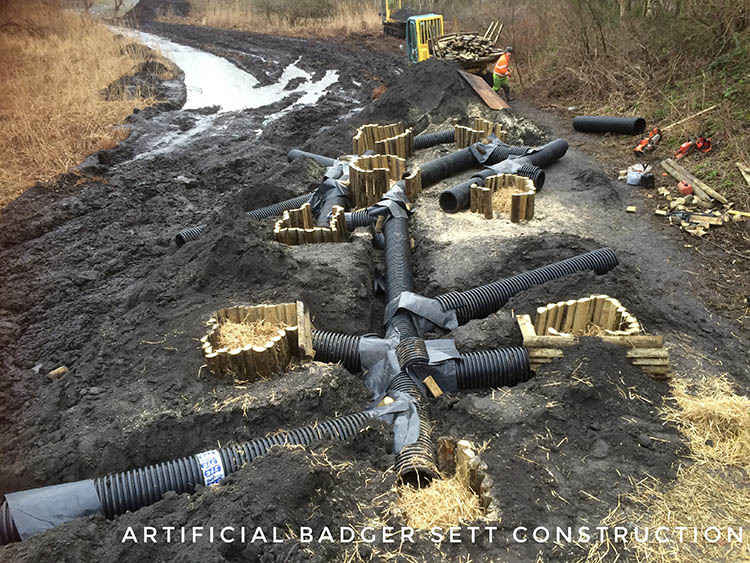 Our ecological knowledge and sett creation experience ensures that all the artificial badger setts we create are well constructed and fit for badger habitation. 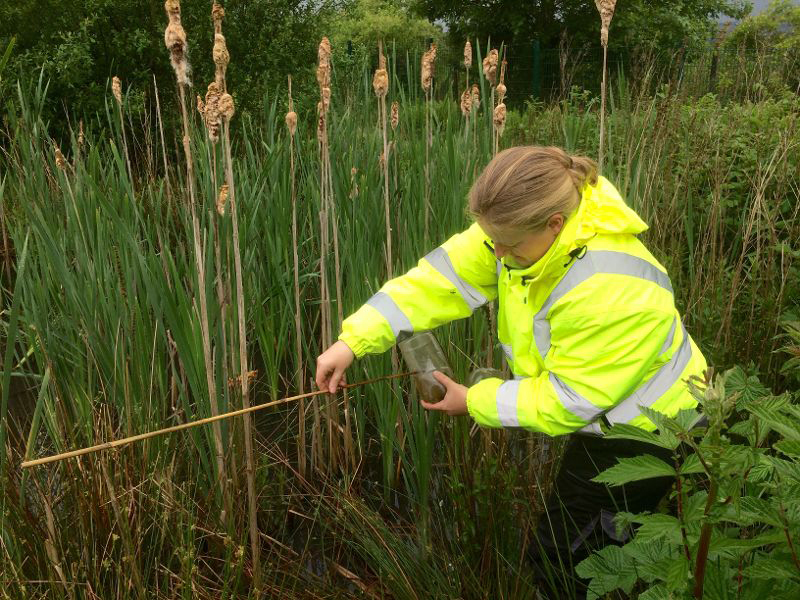 We account for site topography, water table and linkage to foraging habitats to ensure the best chance of occupation. This is necessary in obtaining permission to close an existing sett. Our professional team will work with your method statement or help design one for you which outlines the artificial sett design. Such as how many tunnels and nest chambers are required, should the artificial sett be buried or raised, or integrated into an existing site feature. 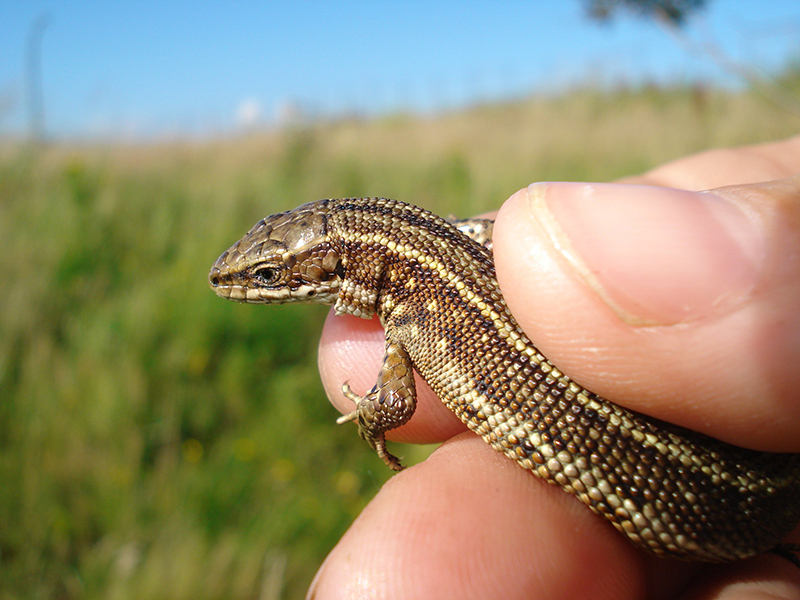 It is important to factor in connectivity to foraging habitat when designing an artificial sett. We can help with enhancement and or creation of new foraging habitat for badger including pond creation, as badgers need access to water sources within their territorial range. 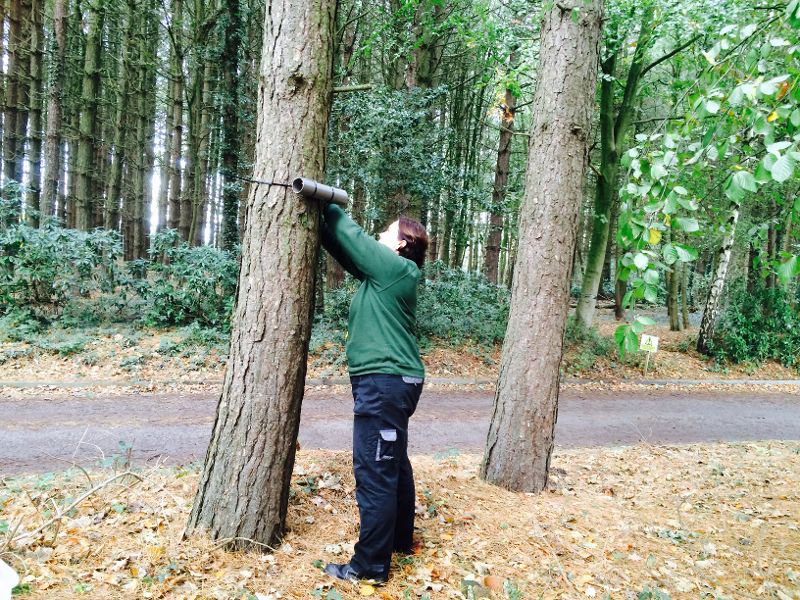 Implementation of habitat features is possible after badgers have been rehomed. We operate micro plant with an incredibly small footprint. This allows us to access the narrowest of spaces with little disturbance in proximity to an occupied badger sett, natural or artificial.